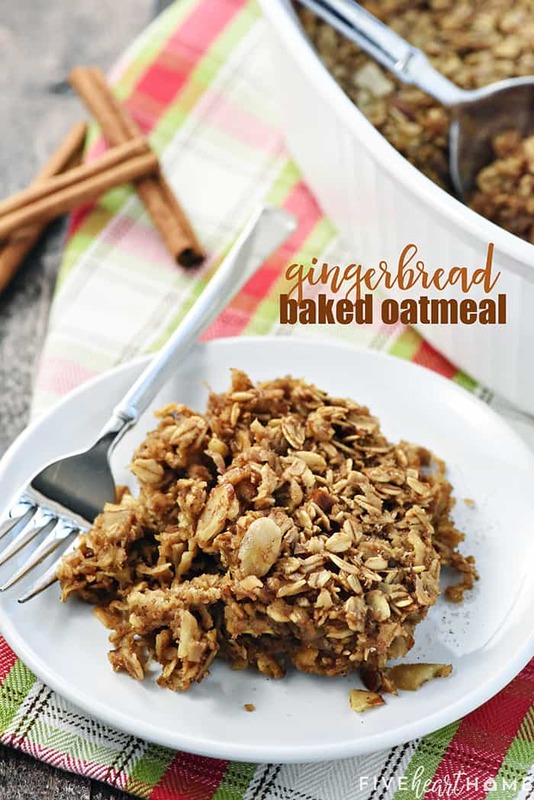 Gingerbread Baked Oatmeal is wholesome, delicious, and easy to make, with warm cozy spices that make it an ideal holiday or winter breakfast! Happy holiday season, friends! Hope you all had a fabulous Thanksgiving and that you’re ready to kick off a joyful, peaceful, not-too-crazy December. 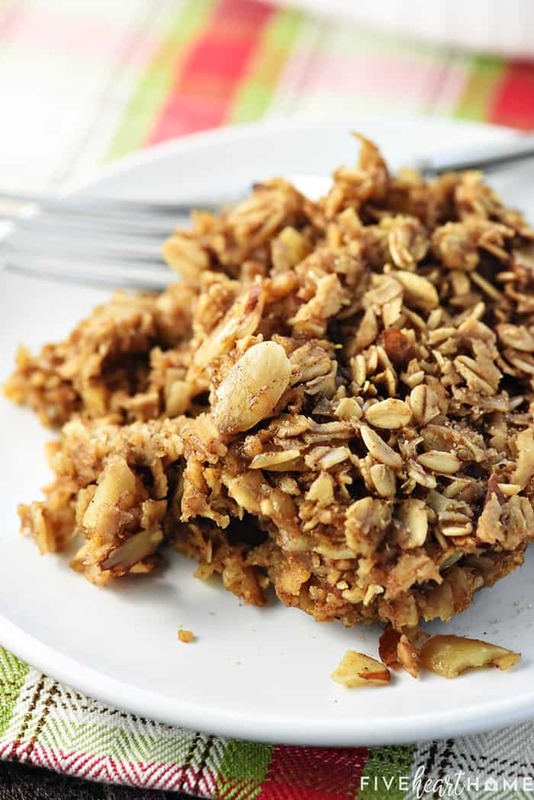 I’m coming at you today with a yummy, healthy, comforting breakfast that I think is just perfect for this time of year…Baked Gingerbread Oatmeal! 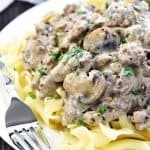 It’s quick and easy to make…stir, spread in pan, pop in the oven, DONE! It’s wholesome and filling, loaded with real food ingredients like oats, coconut oil, and nuts, and naturally sweetened with maple syrup. It reheats beautifully, meaning you can make it ahead of time to enjoy on busy weekday mornings. I often bake up a dish for Saturday breakfast. We enjoy some then and look forward to the leftovers on Monday morning. Or I make a batch on Sunday night that lasts halfway through the week. 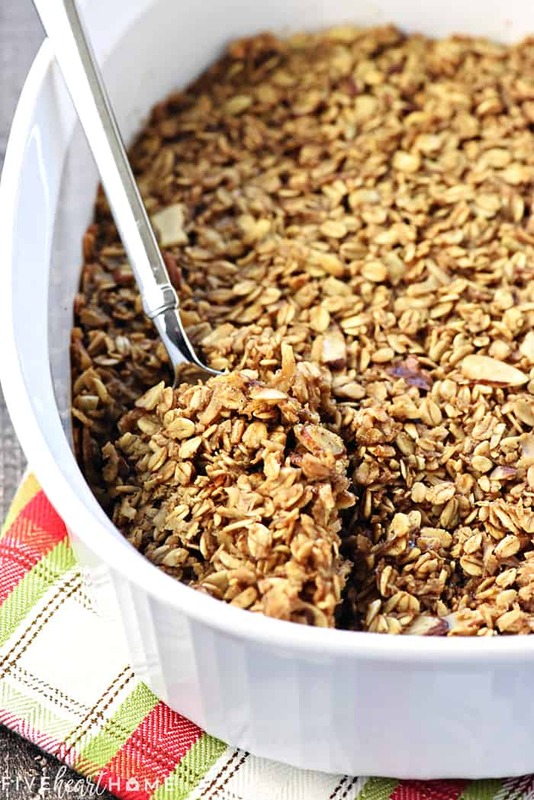 Baked oatmeal is just a great way to kick off any day! And finally…it’s tasty! Have I mentioned there are lots of fun flavor variations to fit any season, whether spring, summer, fall, or (hellooooo, gingerbread!) winter? 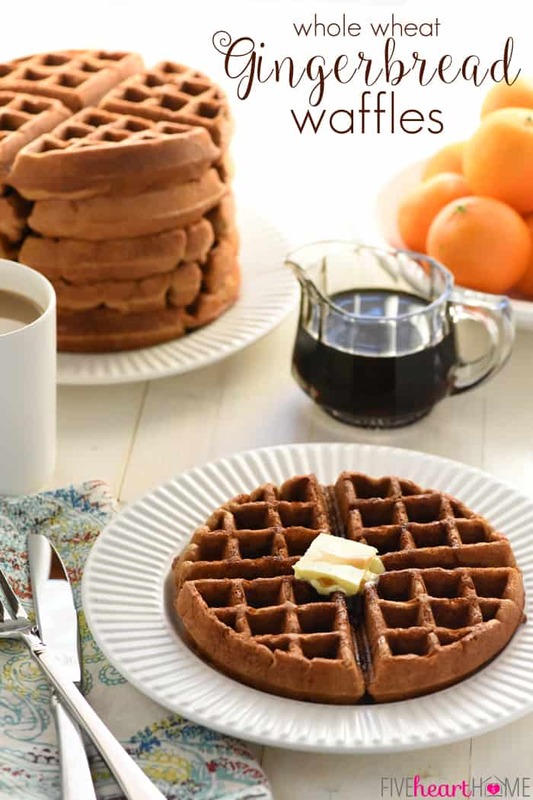 Speaking of gingerbread, I”ve previously shared quite a few gingerbread inspired breakfast ideas in past Decembers (see the links below the recipe for some of my favorites). 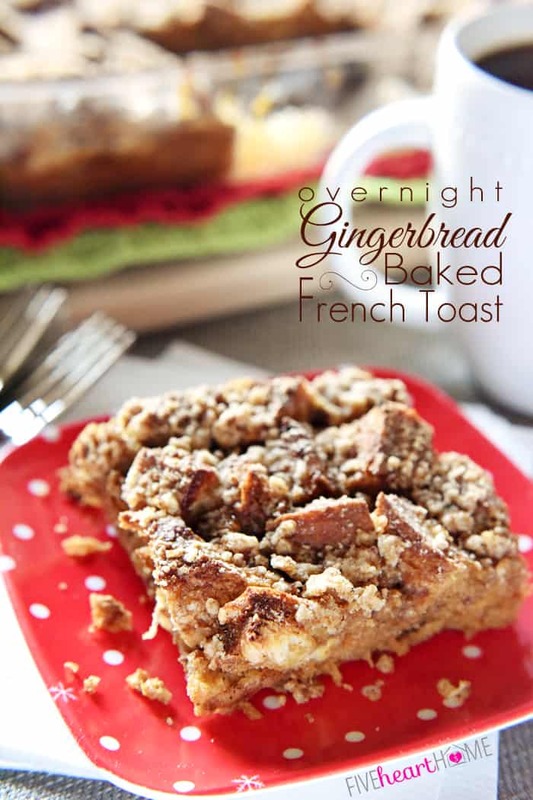 Gingerbread is just one of those flavors that screams CHRISTMAS! I always think the aroma and flavor of warm, delicious gingerbread spices add a little cheer to dreary winter days. 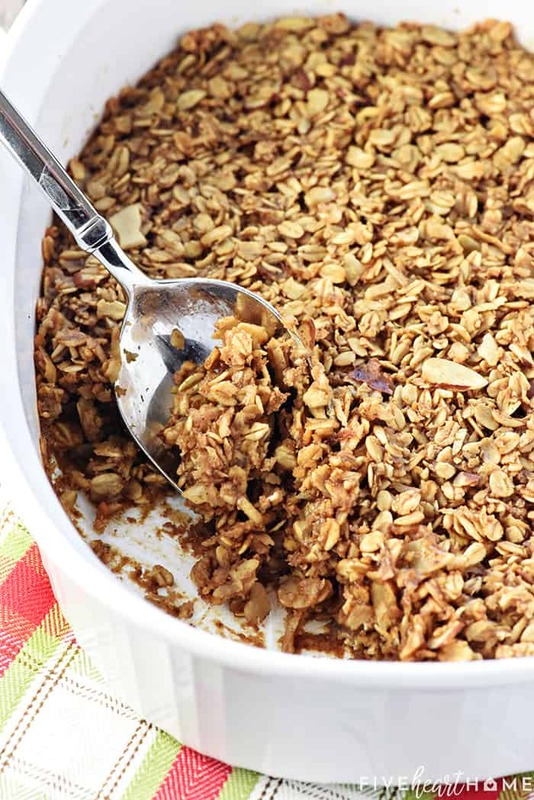 As for baked oatmeal…you’ve tried it before, right? 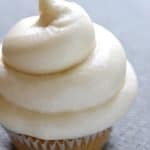 It’s one of our favorites around here, and I make one flavor or another at least three times per month. 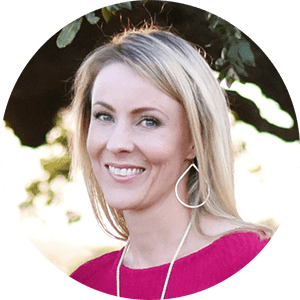 My kids love baked oatmeal and I feel good sending them to school with a healthy, filling breakfast in their bellies. 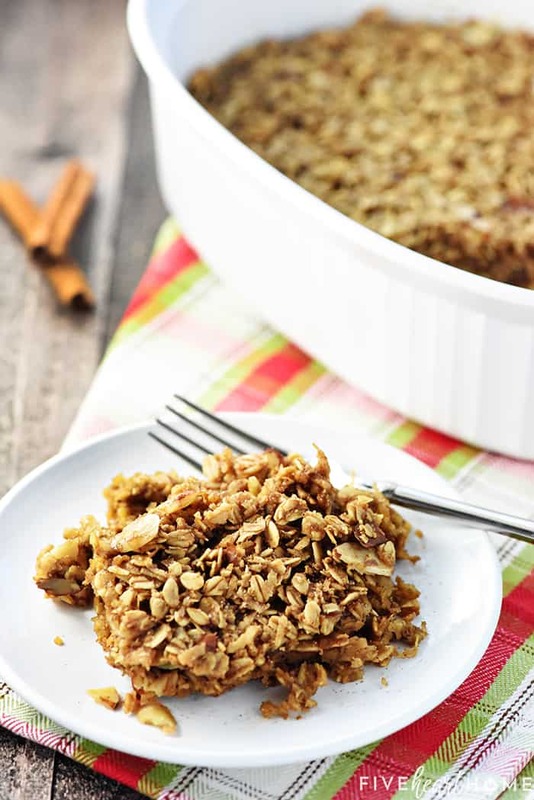 And this Gingerbread Baked Oatmeal is our new favorite seasonal flavor of my tried-and-true classic! 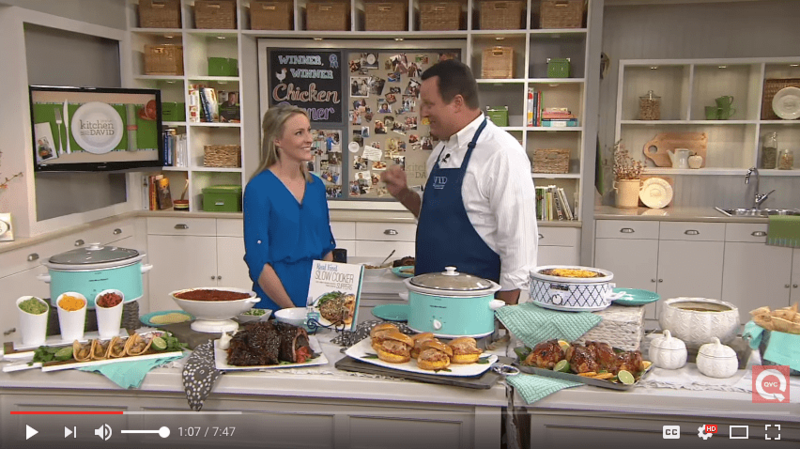 So I hope you have a chance to try this recipe soon! 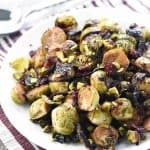 It smells wonderful as it bakes, it tastes even better, and it brings a bit of healthy breakfast cheer to your holiday season. Enjoy! I often make baked oatmeal in an 8-inch square baking dish. However, any baking dish with an approximately 2-quart capacity will work. 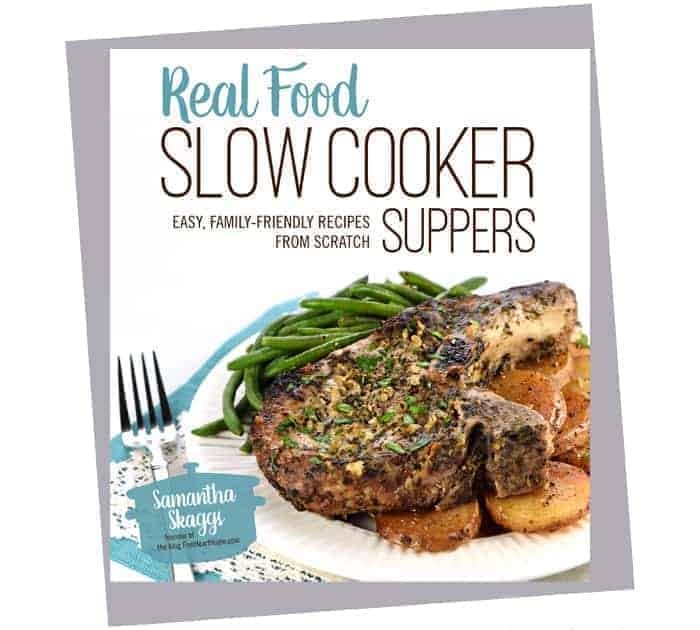 I recommend using old-fashioned rolled oats in this recipe for their slightly chewy texture. If you wish to substitute quick oats instead, use slightly less. I made this batch with almonds, because that’s what I had in the pantry, but next time I’m going to try walnuts or pecans, as I think they would be really yummy with the gingerbread spices. 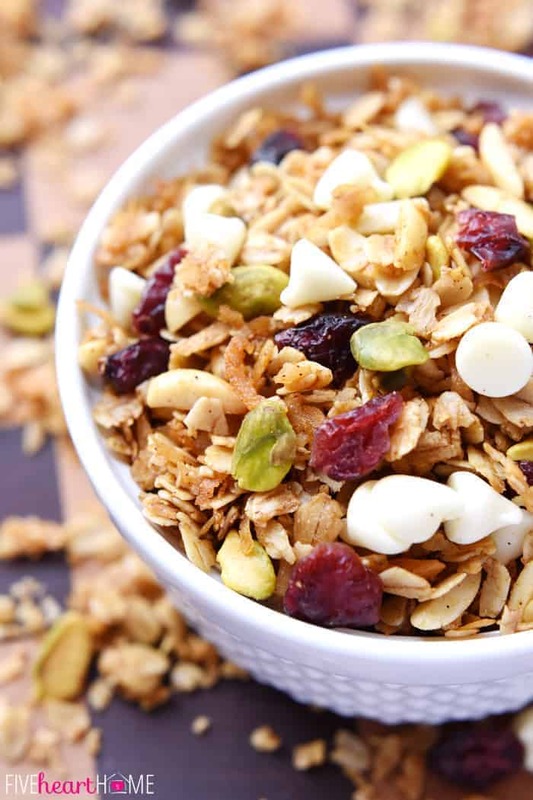 But whatever nuts you use, I highly recommend adding extras on top for garnish…crunchy toasted nuts are a great textural contrast when sprinkled on top of creamy baked oatmeal! I also recommend toasting your nuts if you have time…spread them out on an ungreased baking sheet and bake at 350°F until fragrant and light golden brown (start checking at 5 minutes). Chopped nuts will toast faster than whole nuts. If you wish to omit the coconut, increase the amount of oats accordingly. If you wish to leave out the nuts, you don’t have to increase anything else. You can leave out the molasses if you don’t have any on hand…it just contributes to the gingerbread flavor. 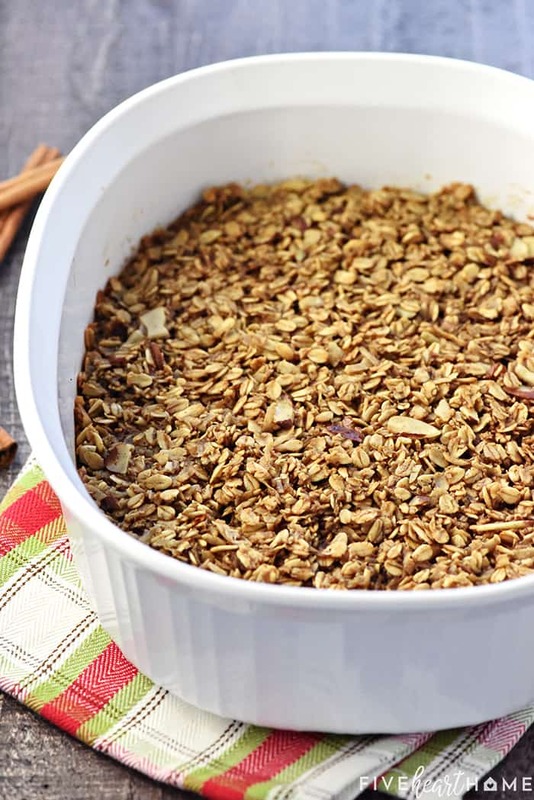 This baked oatmeal is only lightly sweetened, so feel free to increase the amount of maple syrup if you wish. 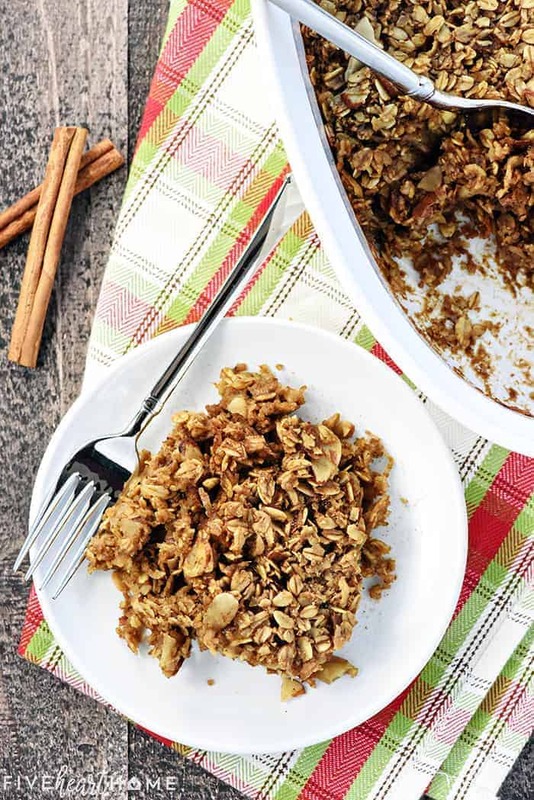 Alternatively, you can drizzle a serving of warm baked oatmeal with a tiny bit of maple syrup or sprinkle it with cinnamon sugar (we usually do the latter). Reheat baked oatmeal by placing an individual serving in a bowl, drizzling with a little milk, and then heating in the microwave for about 30 seconds. 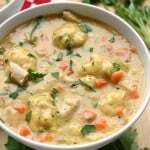 You can make this recipe dairy-free by using almond milk or coconut milk (or your favorite non-dairy milk). Preheat oven to 350°F. Lightly grease or spray with nonstick cooking spray an 8-inch square baking dish (or a comparably sized 2-quart baking dish). In a large bowl, combine oats, nuts, coconut, cinnamon, ginger, nutmeg, allspice, cloves, and salt. 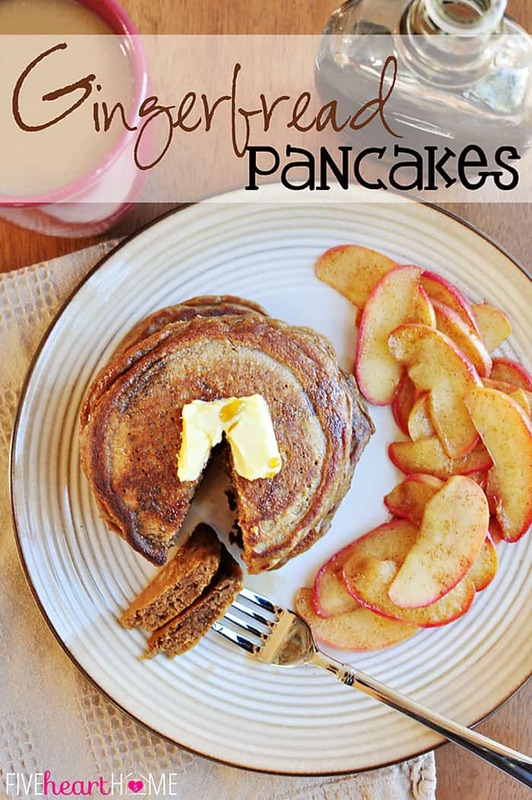 Mix in milk, eggs, maple syrup, molasses, and vanilla. Stir in coconut oil until all ingredients are well combined. Spread oatmeal into prepared baking dish and bake for 20 to 25 minutes or until set and light golden brown on top. Allow to cool in the baking dish for at least 5 minutes before slicing. Serve warm with optional garnishes: warm milk or cream drizzled over the top, extra maple syrup, cinnamon sugar, and/or additional toasted nuts.